If you are living in America the middle class income is anywhere from $25,000 to $100,000 per year based on based on the Drum Major institutes findings. 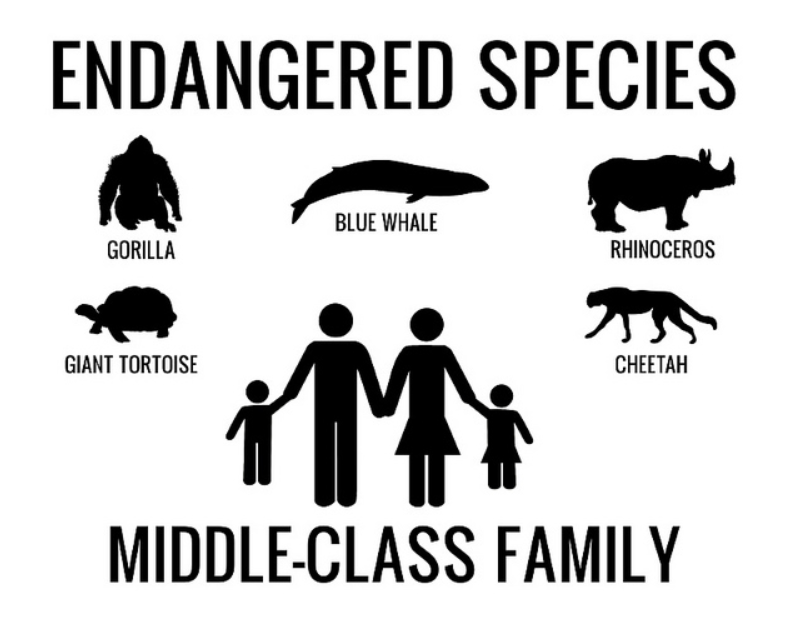 This is a very wide range which breaks up into subdivisions with what most people view as working middle class, lower middle class and then upper middle class. What these classes do not take in consideration is the relationship between the income and the amount of people in the household. If you want to elevate your income into the upper middle class and beyond you need to focus on acquiring assets instead of liabilities. As our income increases and we move past the lower middle class to the upper middle class so do our spending habits on acquiring liabilities such as bigger houses, fancier cars and other luxury items. You probably noticed I listed your home as a liability, well think about it for a minute are you earning an income from your home? Probably not unless it is an income property. If you want to create income you need to have rental property, investments or a business. The majority of the people in the middle class only think about today, begin looking out to the future on where you want to be and get creative on how you are going to get there. Internet marketing / MLM or affiliate marketing is a great vehicle to help someone without much capital to create a residual based income and with that create freedom and break free from the clutches of the middle class. Today in America you can start a business for less than $100 and have access to the same advertising methods that big corporations use. This does not mean you will become rich and successful in three month’s time since you will need to develop new skills and this takes time. You can cut your learning curve down considerably by aligning with me and the Legacy Empire Team. We have training, tools and systems to help you build a successful internet business. Remember your actions and belief will dictate your level of success and we have daily mindset calls that help build your belief in yourself. Thanks for stopping by and checking out my post on Average Middle Class Salary – Middle Class Income.